Not all wineries have tasting rooms. 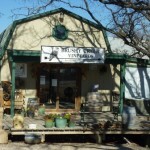 Many good producers work in small batch and sell independently through the many businesses that feature Texas wine. I am lucky to know a lot of these people and where I can get, and sometimes taste, their wines. 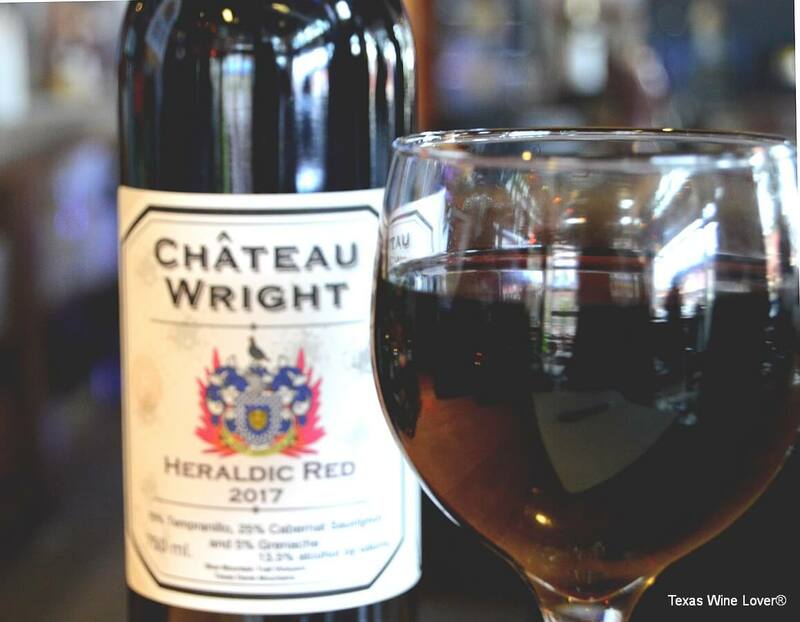 Consider me surprised when I found one right under my nose in San Antonio: Château Wright. 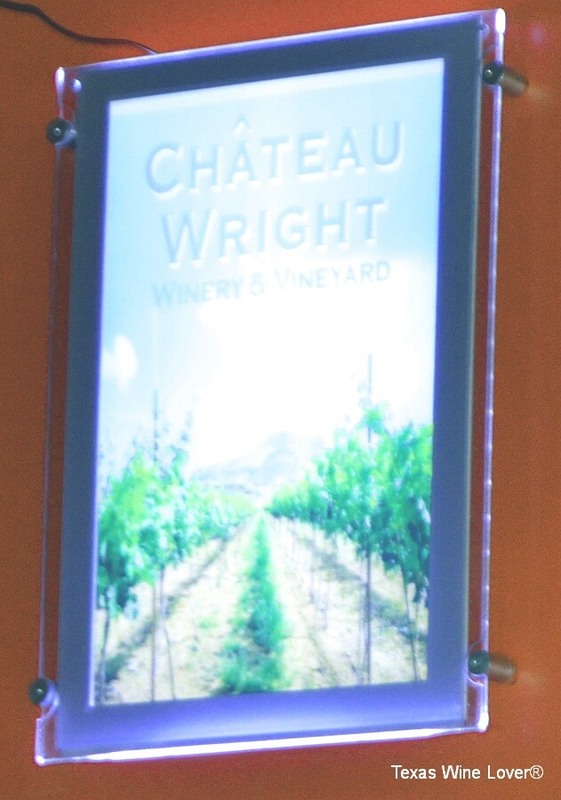 Jack Wright, along with his viticulturist Adam White, grow and make the wines for Château Wright. 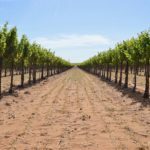 When I first tried two of the three wines produced, I quickly learned that I have enjoyed the grapes from Wright’s Blue Mountain Trail Vineyard—in Fort Davis—before. 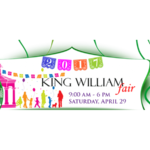 William Chris Vineyards, Calais Winery, Spicewood Vineyards, and Ron Yates produced wines with the West Texas grapes, and they won medals too. Upon learning that, I knew that what I would taste would be great. 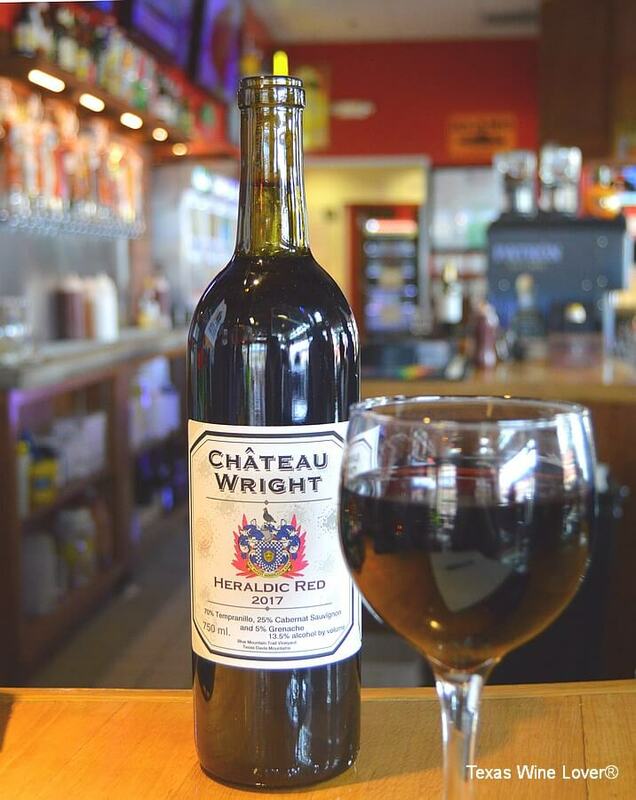 I met Jack at one of the few establishments in San Antonio that carries Château Wright: Luther’s Café. I sat down with Jack at the bar, in view of the winery’s new neon sign, to taste and talk. First, we tasted The Château Rose 2017. The 100% Texas grown Grenache’s nose bursts with bold fruit flavors. The nose lured me in with sweet fruits, but it did not even begin to tell the story of the wine. The wine is dry and takes it sweetness from the fruit. This sweetness helps balance an herbal flavor that comes through the wine. I learned that the terroir causes the unique flavor. We moved on to the signature wine, the Heraldic Red 2017. This is a blend of Tempranillo, Cabernet Sauvignon, and Grenache. This wine had the same herbaceous notes but was mainly lots of fruit. A hint of cigar box and oak from the barrel aging rounded out the wine. The name of this wine is important. Wright had a crest made and got it certified. He proudly displays it on all of the bottles, but the red bares its name. I did not get to taste The Château White 2017 made from 100% Viognier. The wine was described as powerful and intense, a unique take on the popular Texas grape. There are future wines in the planning. To accommodate the sweet tooth of many Texans, there will be a sweet wine. One the wines most anticipated is a GTM—Grenache, Tempranillo, and Mourvèdre. This comes from Jack’s love of Rhône reds, especially those of Châteauneuf-du-Pape. I consider myself lucky to be in the city that has the most places carrying this wine. One of the important aspects of Château Wright is the commitment to 100% Texas. 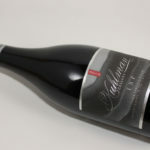 This first vintage was a mix of grapes sourced from the Texas High Plains, especially from VJ. Reddy, and the estate grapes. Future vintages will mainly be estate grapes. And Blue Mountain’s location in Fort Davis produces some of the most exciting grapes in the state. The vineyard is mainly Cinsaut, Mourvèdre, Grenache, Tempranillo, and Viognier, but other grapes are coming. A number of experimental grapes, as well as other additions, will help fill out the Château Wright portfolio in the near future. 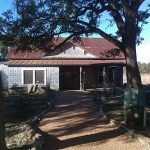 Unfortunately, there is no tasting room for Château Wright (though one is coming in Fort Davis) and availability is limited. 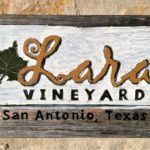 Stores and restaurants in Fort Davis (Celebr8), Marfa (Celebration Liquors and Get Go), and San Antonio are the current places to get the wines. 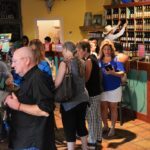 They are found in multiple locations around San Antonio, including several locations of Don’s and Ben’s, Joe Saglimbeni’s Fine Wine and Spirits, the Pearl, Blue Star Brewing Company Provisions Store, Toro Restaurant, and the aforementioned Luther’s Café. Thankfully, Château Wright is about to expand and be available at other locations in the state.